The Evolution of Soul: A Journey Through Poetry is now available in The Blacktopia Media Store! Toney’s style is a blend of Free-versing, Slam, Spoken word, and Traditional. In his first collection, Author Toney’s book “Evolution of Soul: A Journey Through Poetry”, his verses splatter a metaphoric mind pictorial, painting visuals of love, consciousness, sensuality, darkness, inspiration, and more. Indeed, there are parallel subjects from similar poets, both historical and modern day; however, Toney’s perspectives are inked in an assortment of American vernaculars depicting his own life’s journey. Also swayed by many musical genres, the quintessence of his lyrical pen is filled with vibrant soulfulness. Author Justin Toney’s expressions are multi-layered and personable. His artistic use of both figurative language and wordplay will stimulate your inner passion. You will detect within his poetry an introduction to his cleverness, while he conveys superlative imagery. Toney believes “poetry connects to one’s soul”, and I too agree. 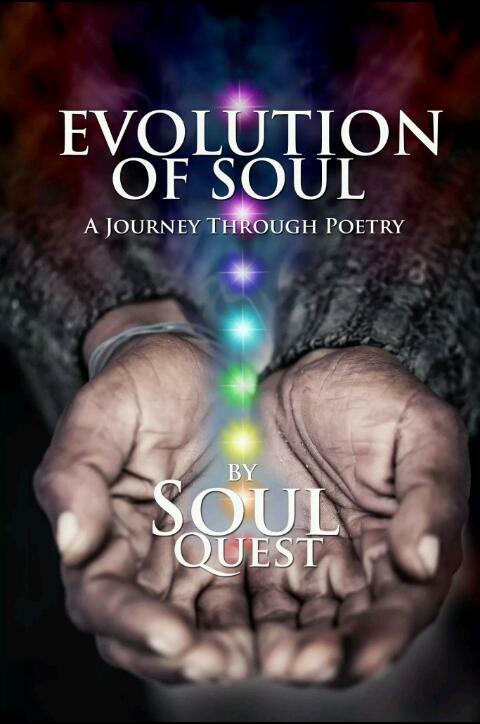 "Evolution of Soul" is not only a collective of poems, but also an impressionable page turner.